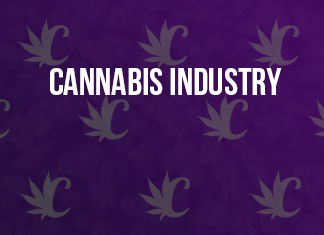 TORONTO, April 12, 2019 (GLOBE NEWSWIRE) — Blueberries Medical Corp. (CSE: BBM) (OTCQB: BBRRF) (FRA: 1OA) (the “Company” or “Blueberries“) a Latin American licensed producer of medicinal cannabis and cannabis-derived products, is pleased to announce that the Company’s executive management team will attend and present at GMP Securities’ 2019 Global Cannabis Conference on April 16, 2019 at The Ritz-Carlton, Toronto. Location: Presentation Room B (The Wellington Ballroom, 4th Floor), The Ritz-Carlton, TorontoDr. Stocker will discuss his extensive experience in cannabis cultivation in Colombia, his vision as well as the Company’s recent operational developments including the Company’s Colombian operations, entry into Argentina, extraction facility build-out and their strategic global relationships.“Having recently completed our public listing, we are keen to increase market awareness and this conference will provide us an excellent platform for a formal introduction to the institutional investment community,” stated Dr. Patricio Stocker, Chief Executive Officer of the Company. “As we continue to execute on our operational plans and position ourselves as leaders in Latin America, we believe there is a great opportunity for investors to participate in the growth of our company.”About Blueberries Medical Corp.
Tel: +1 (305) 877 4710Cautionary Note Regarding Forward-Looking InformationThis news release contains “forward-looking information” and “forward-looking statements” (collectively, “forward looking statements“) within the meaning of the applicable Canadian securities legislation. All statements, other than statements of historical fact, are forward-looking statements and are based on expectations, estimates and projections as at the date of this news release. Any statement that involves discussions with respect to predictions, expectations, beliefs, plans, projections, objectives, assumptions, future events or performance (often but not always using phrases such as “expects”, or “does not expect”, “is expected”, “anticipates” or “does not anticipate”, “plans”, “budget”, “scheduled”, “forecasts”, “estimates”, “believes” or “intends” or variations of such words and phrases or stating that certain actions, events or results “may” or “could”, “would”, “might” or “will” be taken to occur or be achieved) are not statements of historical fact and may be forward-looking statements. In this news release, forward looking statements relate, among other things, to: the timing and receipt of the final stock exchange approval for the commencement of trading of the Blueberries Shares on the CSE, and future expansion plans.These forward-looking statements are based on reasonable assumptions and estimates of management of the Company at the time such statements were made. Actual future results may differ materially as forward-looking statements involve known and unknown risks, uncertainties and other factors which may cause the actual results, performance or achievements of the Company to materially differ from any future results, performance or achievements expressed or implied by such forward-looking statements. Such factors, among other things, include: fluctuations in general macroeconomic conditions; fluctuations in securities markets; expectations regarding the size of the Colombian and international medical cannabis market and changing consumer habits; the ability of the Company to successfully achieve its business objectives; plans for expansion; political and social uncertainties; inability to obtain adequate insurance to cover risks and hazards; and the presence of laws and regulations that may impose restrictions on cultivation, production, distribution and sale of cannabis and cannabis related products in Colombia or internationally; and employee relations. Although the forward-looking statements contained in this news release are based upon what management of the Company believes, or believed at the time, to be reasonable assumptions, the Company cannot assure shareholders that actual results will be consistent with such forward-looking statements, as there may be other factors that cause results not to be as anticipated, estimated or intended. Readers should not place undue reliance on the forward-looking statements and information contained in this news release. The Company assumes no obligation to update the forward-looking statements of beliefs, opinions, projections, or other factors, should they change, except as required by law.